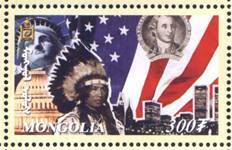 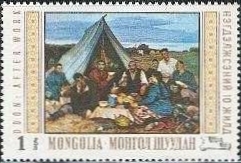 Mongolia is a landlocked country in East and Central Asia. 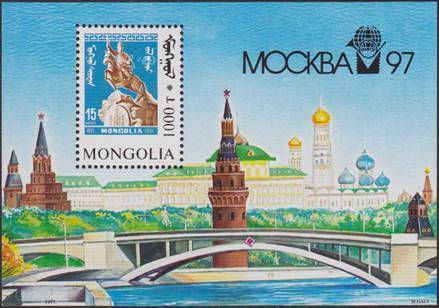 It borders Russia to the north and People's Republic of China to the south, east and west. 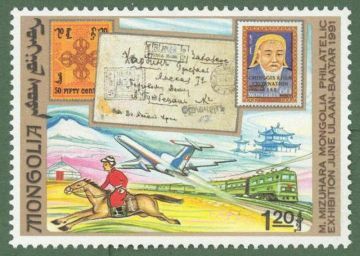 Although Mongolia does not share a border with Kazakhstan, its western-most point is only a few miles from Kazakhstan's eastern tip. Ulan Bator, the capital and largest city, is home to about 38% of the population. Mongolia's political system is a parliamentary republic. 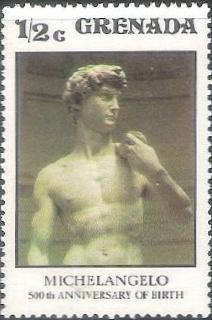 Is there a different in color??? 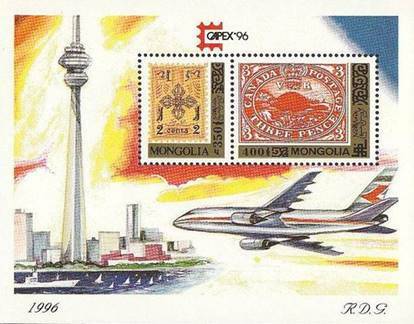 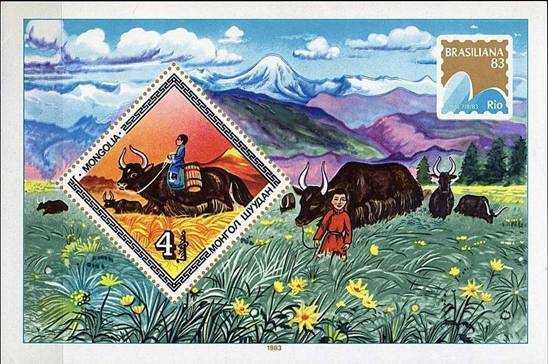 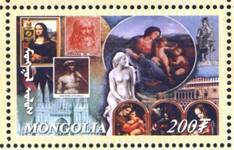 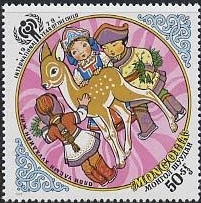 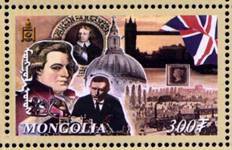 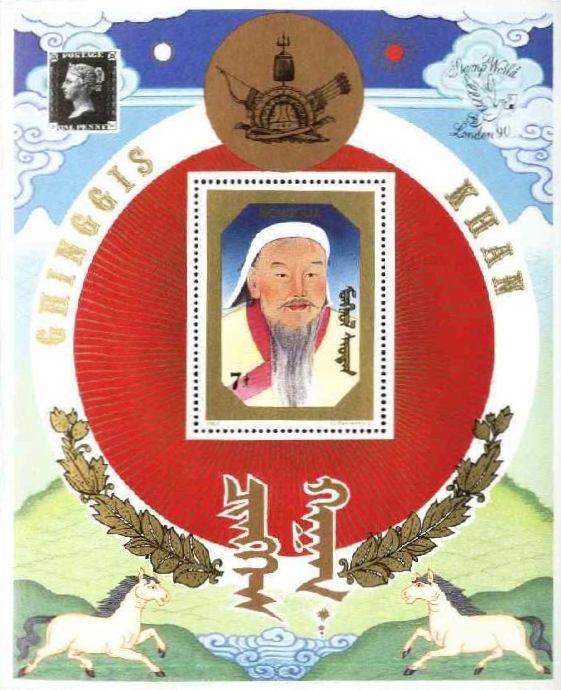 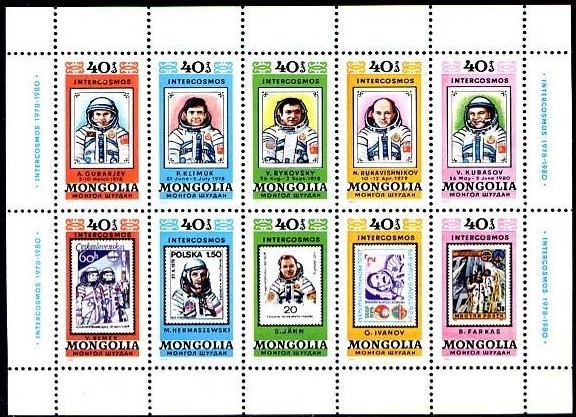 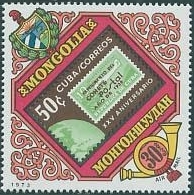 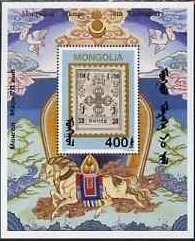 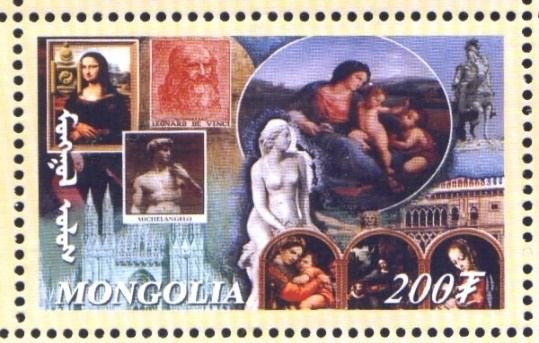 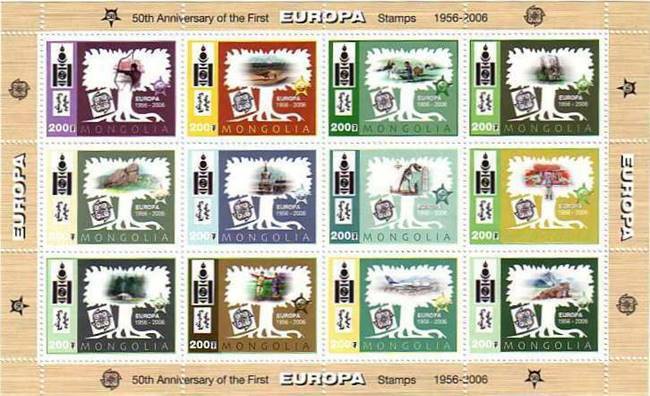 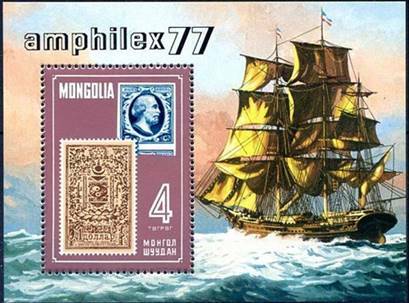 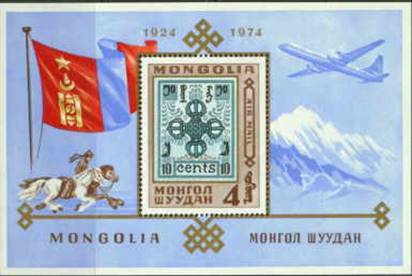 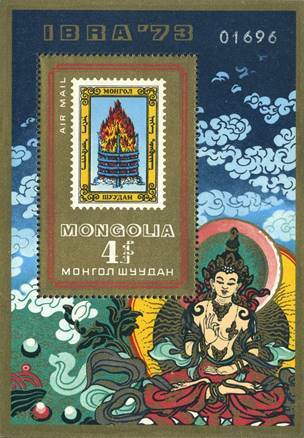 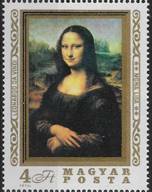 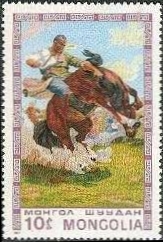 Lou wrote: Mongolia Sc #C43 actually illustrates a non-existent stamp. 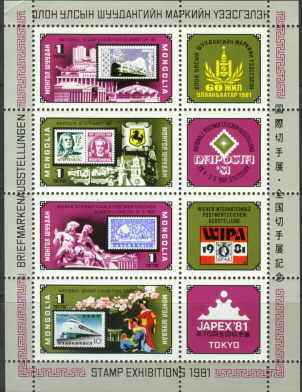 It has the design of Cuba Sc #883 but the colors of Sc #884 without the silver imprint. 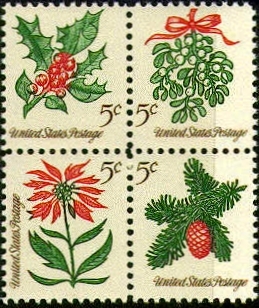 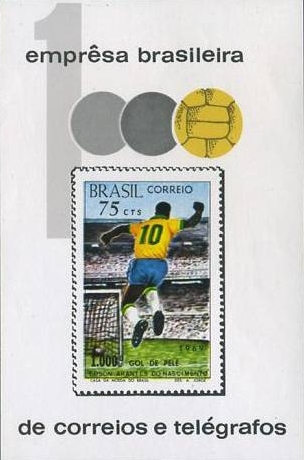 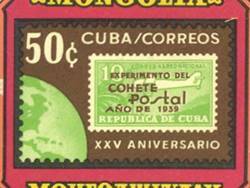 With all the Cuba stamps with a post and communications theme he could have chosen from, the designer picked the 1964 Postal Rocket Flight stamp on stamp (Sc #883), probably because it reproduced the stamp used for the first officially sanctioned rocket mail delivery, but had a problem in that the black stamp would not show up well inside a black frame. 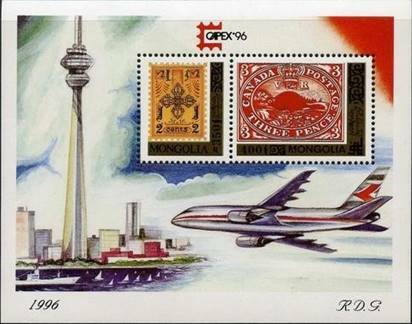 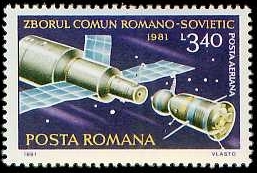 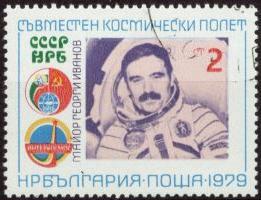 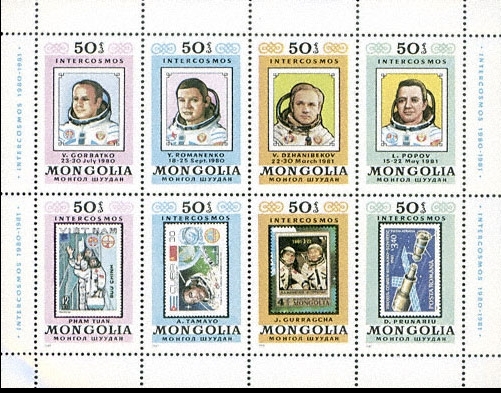 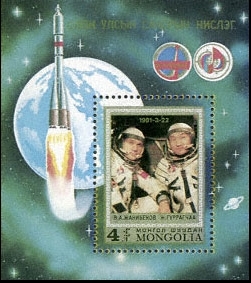 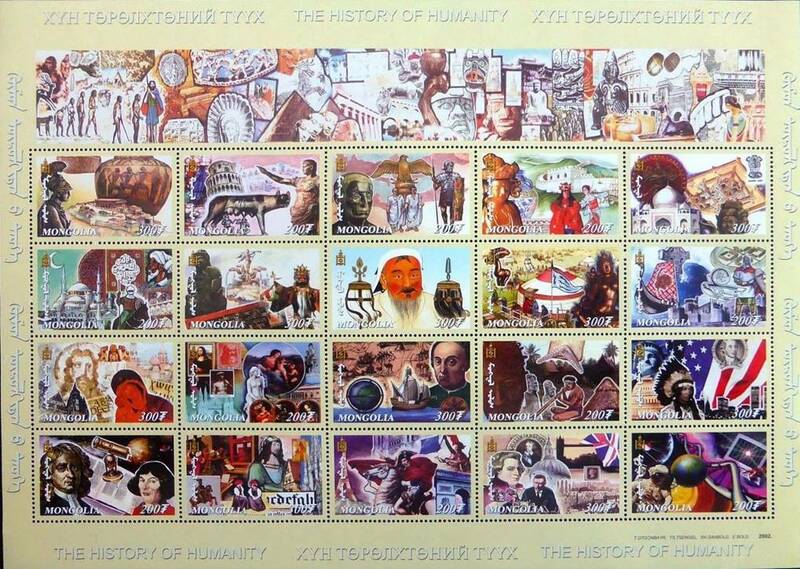 His solution was to change the colors of the stamp by using those of the Voshkod I Rocket Flight commemorative (Sc #884), which was the same design with XXV ANIVERSARIO removed and a silver rocket and inscriptions added. 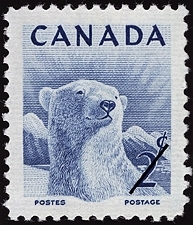 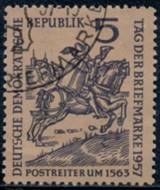 Actually, he might have been able to use #883 with just a little “tweaking” to outline the perfs in the black portions of the stamp. 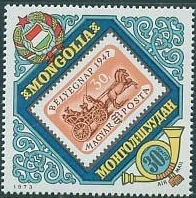 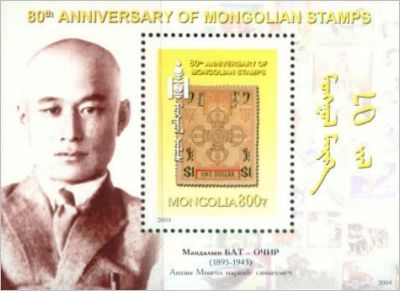 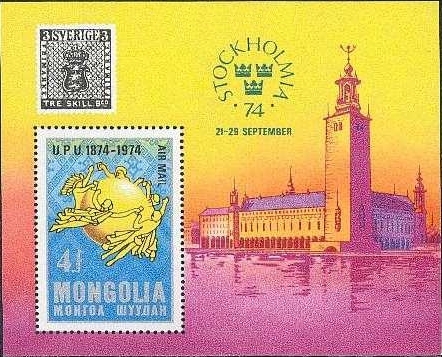 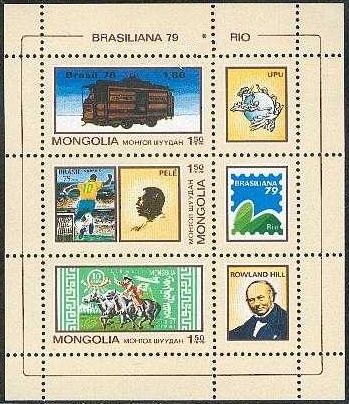 Lou wrote: Above you can see the Mongolia unlisted revenue stamp as shown on the S/S and Mongolia #22 with the POSTAGE overprint which should have been reproduced. 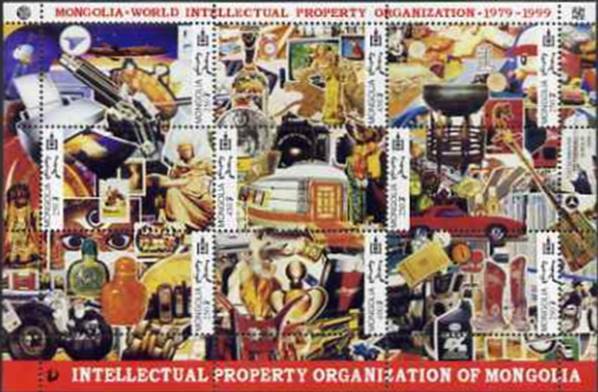 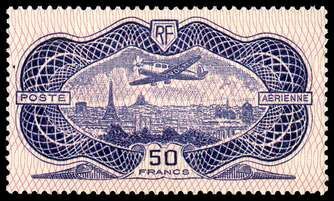 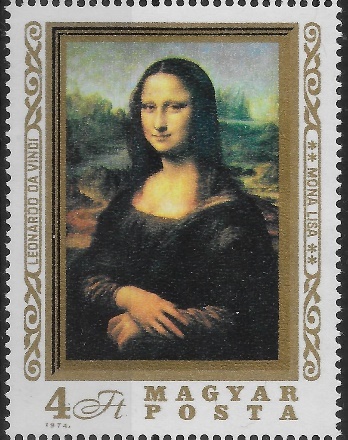 In fairness, the overprint can be found so faint in color that it appears to be omitted. 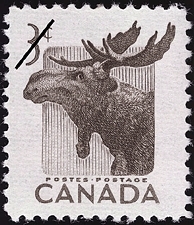 I’d like to think that the stamp the designer used is an example of this. 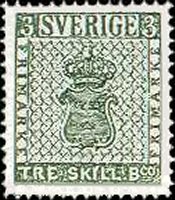 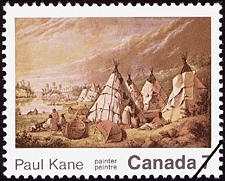 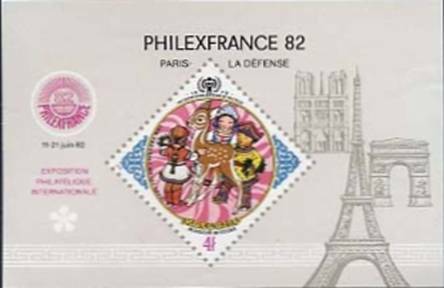 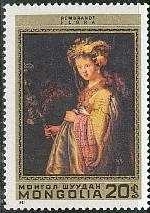 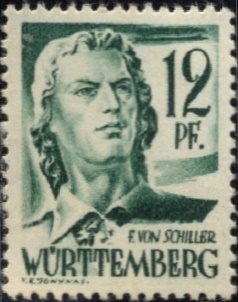 I bought the # 22 (an expensive stamp) first, and it looked so “wrong” in my display, that I bought the revenue stamp when I found one at a show, so that I could show both examples. 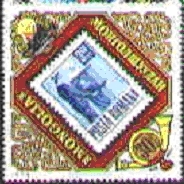 They also show off the color variances of the issue. I think you should have both on the site also.